I’ve just come back from a long weekend in Phuket. To be honest I was a little surprised how much I enjoyed it. I had a preconceived notion that Phuket would be too crowded and touristy for me. And whilst there are areas which definitely cater to the masses of tourists that descend on the island each year, I was still able to find secluded and unspoilt parts of the island to satisfy my need for peace and quiet. Upon arrival we immediately transferred to the Imperial Adamas hotel at NaiYang Beach, only 15 minutes from the airport. The hotel occupies a secluded end of this pretty and quiet stretch of beach. Checked in and on the beach an hour after touchdown – perfect! The hotel is a quite sanctuary in itself – a little too quiet for my liking so we wandered down the beach each evening for delicious (and cheap!) seafood and great people watching. There isn’t much gay nightlife at this end of the island (however Grindr stepped up to the plate and all of a sudden we created our own little gay bar…bless modern technology). After a couple of nights of eating, drinking and relaxing, I was keen to see other parts of the island as well as explore the gay district at Patong Beach. I rented a motorbike (only 250 baht/$8 a day) and followed the picturesque, quiet coast road at my own pace. 30 minutes into the drive I came across a bunch of motorbikes parked in a secluded spot in the forest. I couldn’t help myself but go exploring and after a small hike through the forest found myself at the delightful Banana Beach. Was it divine inspiration that led me there? With just a small bar and beach café (and hot bodies), it’s a lovely, private spot. Next stop was the viewpoint over Kamala Beach for a rest, some drinks and to chat to friendly locals and other adventurers. Everyone was so relaxed and welcoming – you really do feel as though you are in paradise. I pressed on to Patong Beach. Shock, horror! After the relative calm of the northern beaches Patong is like entering a strange alternate universe. The streets are packed with all manner of merchandise, delightful delicacies, bars galore and the most interesting mix of people you’ll ever see. I headed straight to Paradise Complex, filled with gay bars and surrounded by small hotels (if you want to stay here, I’d recommend a hotel at the back of the complex to avoid the noise in the evenings). During the day everything is quiet (great time for a massage) so I headed straight down to the beach where an obviously gay area was full of handsome hunks from all over the world. It was nice to chat and flirt while watching the many and varied water sports and men in action. I particularly enjoyed watching the guys glisten in the sun as they were covered in fresh aloe vera gel (straight out of the plant) – great for the skin and a bargain at 150 baht ($5). Once night fell I hit the bars( located on the exit road out from the Paradise Complex). The choice is wide and varied – from massage parlors offering special massages to drag shows, funky dance clubs with go-go boys to street side bars and cafes. You’re spoilt for choice. I had a few drinks at Boat Bar, an old favorite, before hitting the bed early (my party days are well behind me) due to a planned kite surfing lesson early the next morning. 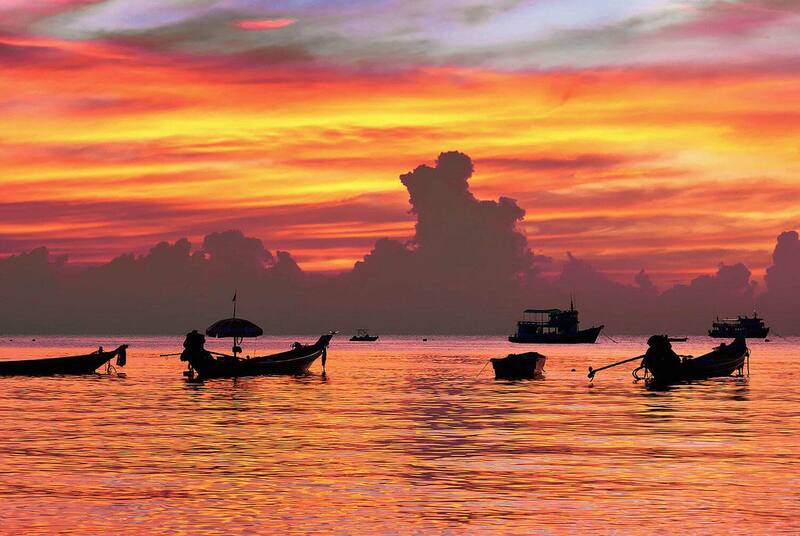 Offering pretty much everything you could possibly imagine – from culture to shopping, incredible beaches and natural beauty to amazing animal experiences and a vibrant gay scene, Phuket deservedly has the reputation as one of the great destinations of Asia and the world.